Really?! Are we really here for another Dose of DIY again? You know what the theme is? Glass jars, mason jars, and vases. I know, pretty broad, huh?! You'd think this subject would be easy, and it appears that for my brilliant friends, it was (be sure to check them out in the end) but for me it was so broad that my little brain almost completely exploded, just ask my poor family. Because I am decorating a table for a birthday celebration tomorrow, I needed to make a trip to Michael's craft store where I tried to un-muddle my mind by looking at their mason jar ideas. They were all the same old ideas we often see on pinterest. Ummm, no originality, thank you very much. But the thing I was excited about was the way that they've made implementing these ideas so much easier for us. I will share how sometime, but first I want to share what I decided to do in the end. 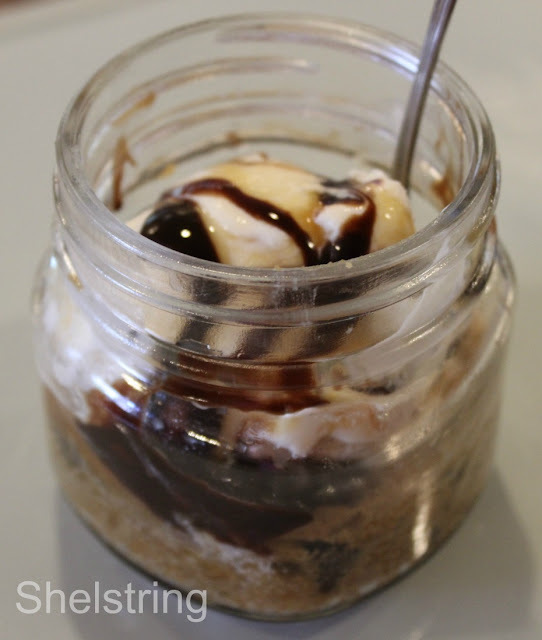 I had a pretty stressful week last week, and since stress makes me want chocolate, what better solution than a Pazookie in a mason jar?! 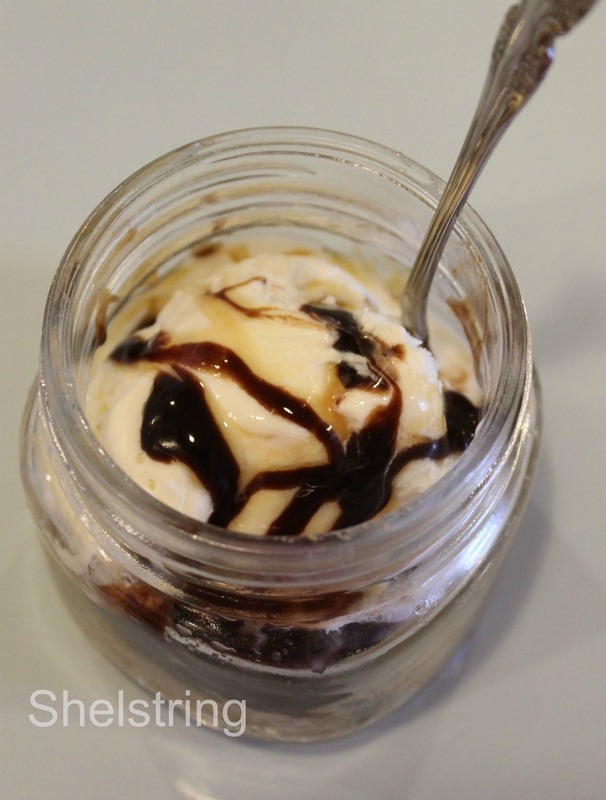 Have you seen (or maybe made) pie or cake in a jar? I've heard of them, seen them, and even my friends have been successful at it. I never did. So because I committed the unpardonable sin and broke tradition for making chocolate chip cookies on Sunday night for my family, I thought I would make it up to them by making a delicious treat for them to eat after family time tonight. 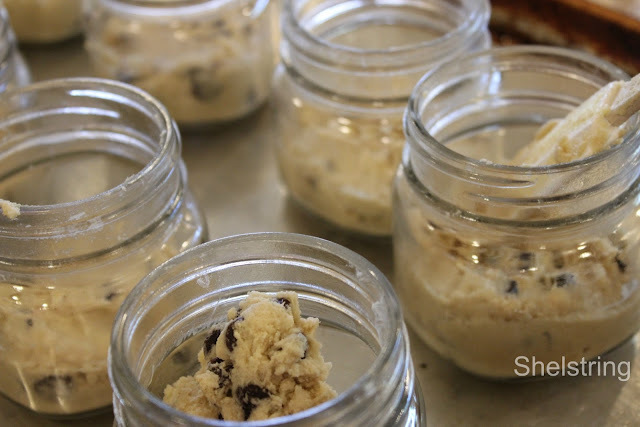 First I made cookie dough using this recipe (minus the coconut flakes and pecans). 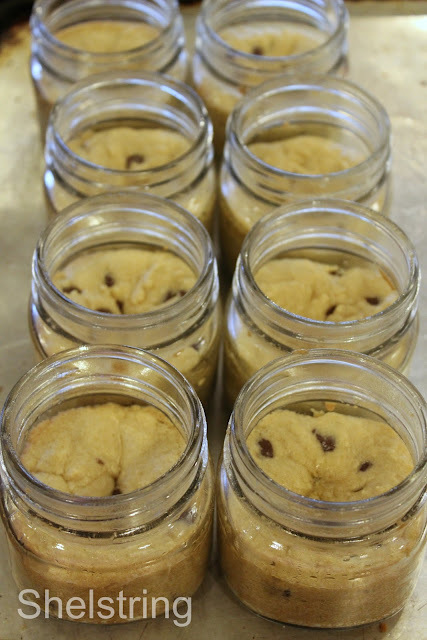 Then I pressed the dough into the jars using a rubber spatchula until it was about an inch thick from the bottom. I placed all the jars on a cookie sheet and baked them for 20 minutes at 350 degrees. I took them out while they were still a little doughy since they cook awhile longer in the hot jars. Now go check out these wonderful decorative ways to use vases, jars and glass containers! Come back soon for when I share some other ways to use mason jars. Oh my - YUMMY! 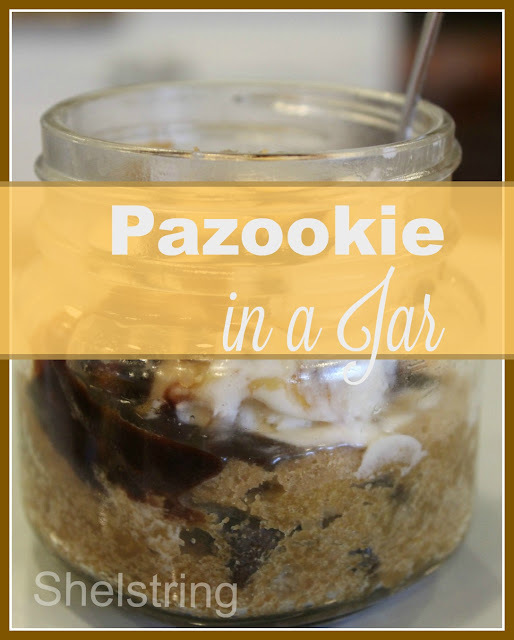 Love this - didn't think about baking stuff in the jars! what a cool idea! Now I want to have a party! What a clever idea! AND it looks delicious... I've got to try this! The kids are going to love it!